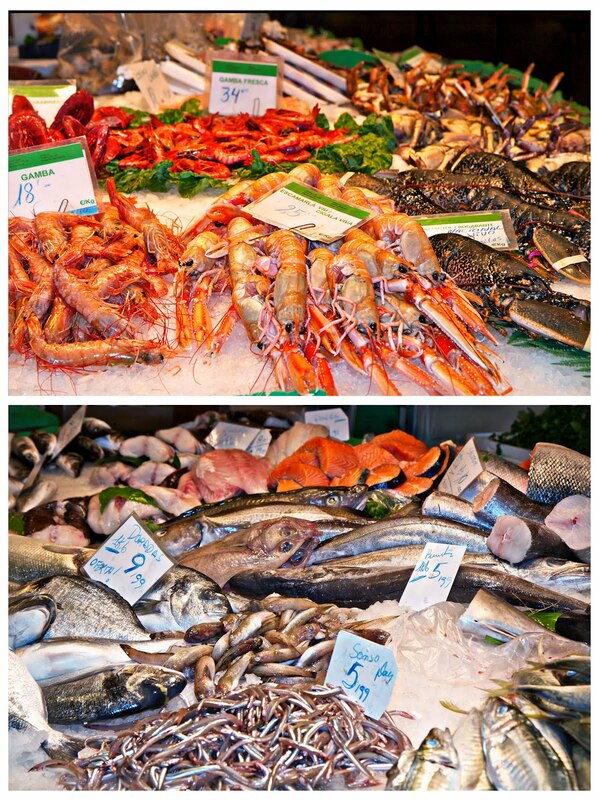 If you are travelling to Barcelona , a visit to Boqueria Market is an absolute “must”. At the Boqueria, people eat, shop and congregate, doing what the Spanish excel at, living life well and enjoying a sense of community. 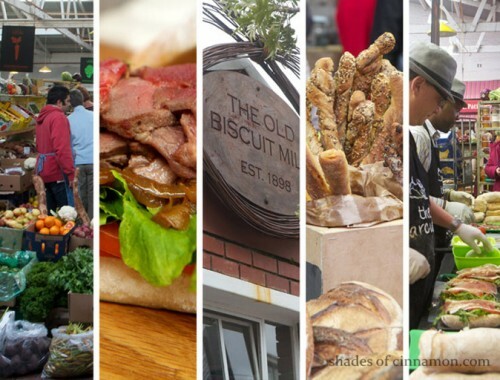 It is a gastronomic heaven, where all aspects of the food chain are joined together, from the harvesters, producers, butchers and fishmongers who provide the food, to the chefs who cook it, and the locals and visitors who enjoy the hustle and bustle of the Barcelona street life. 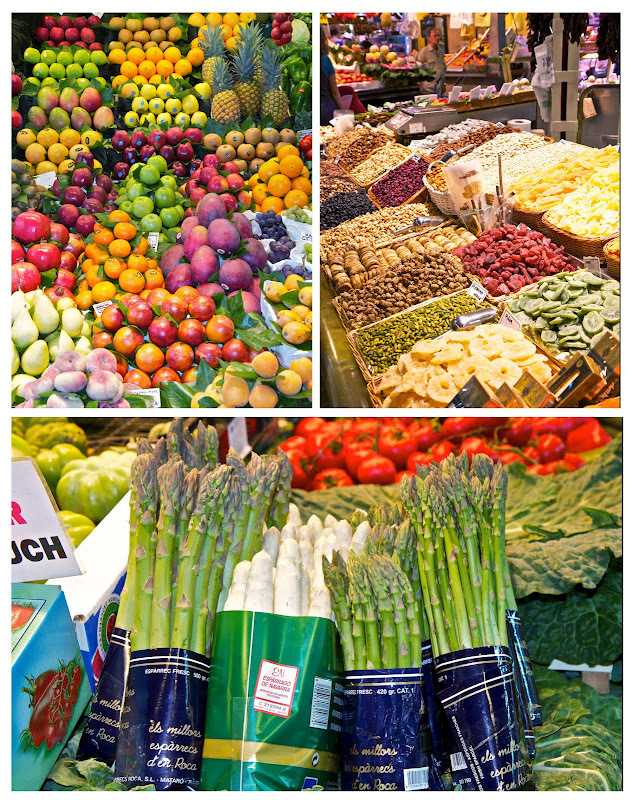 The Boqueria Market, as it is known today, has been through many phases of life. 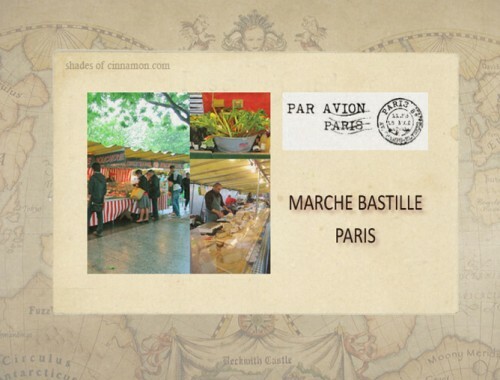 It originated as an open-air travelling market in front of one of the gates of the old city wall, where fruit and vegetable traders from local towns and farms nearby would sell their produce. 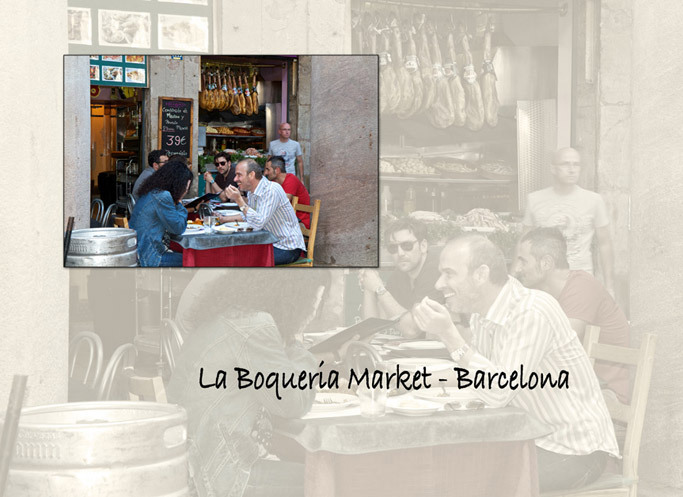 The spaces inside the city at that time were too small to establish a big market of the current Boqueria kind, and it was necessary to set them outside the walls. It was later placed in the Ramblas of Barcelona. 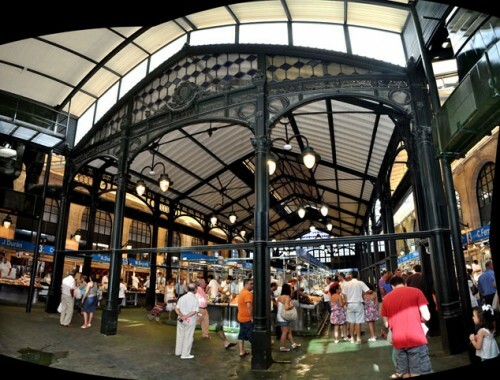 La Rambla acquired growing importance as a pedestrian lane, and the market was set in the best place to attract the large numbers of passers by and local inhabitants. 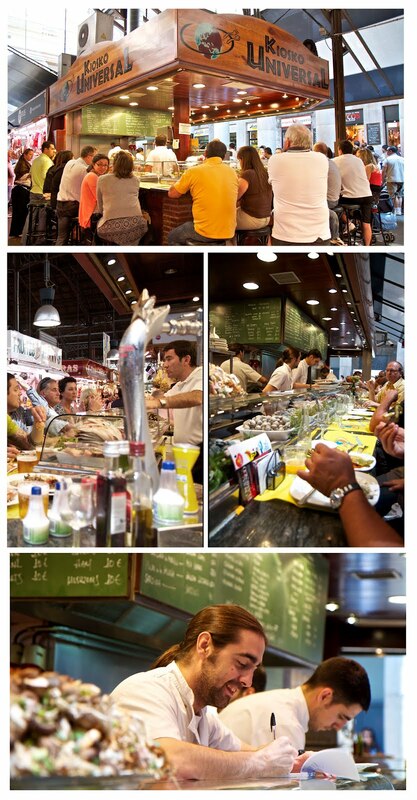 A meal at the Kiosko Universal , one of the many food bars at Boqueria, is part of the Boqueria experience. There is always a continuous stream of people waiting for seats, but don’t try and sit down as someone leaves, because that is not how the system works here. The trick to getting a seat, is calling out to the chefs, showing how many seats you need, they nod, and then ignore you. But don’t be fooled, they havent forgotten you, you are now added to the queue in their heads, and if you have a little patience, your turn will eventually come and believe me, it is well worth the wait. I suggest you go in small numbers, because it is impossible to get a space for more than 2 or 3 together. They do however have bar tables which seat 4 or more . A few glasses of delicious Rose wine can ease the wait, along with the eye candy in the form of the gorgeous Spanish Chefs. The menu consists of fresh seafood of all types, platters of mixed wild mushrooms or peppers, auburgines, asparagus and carrots dripping in their signature sauce of olive oil, lemon and herbs. And there is an endless supply of freshly baked crusty bread to soak up the remaining sauce on your plate. And then there is the Ham. 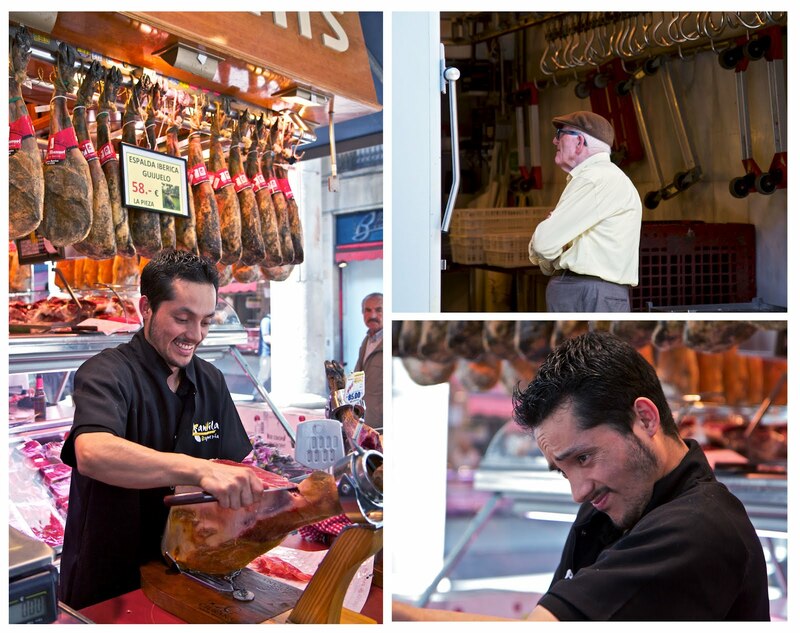 This is not just any ham, but jamón Ibérico de bellota — cured ham made from acorn-fed, black-footed pigs . 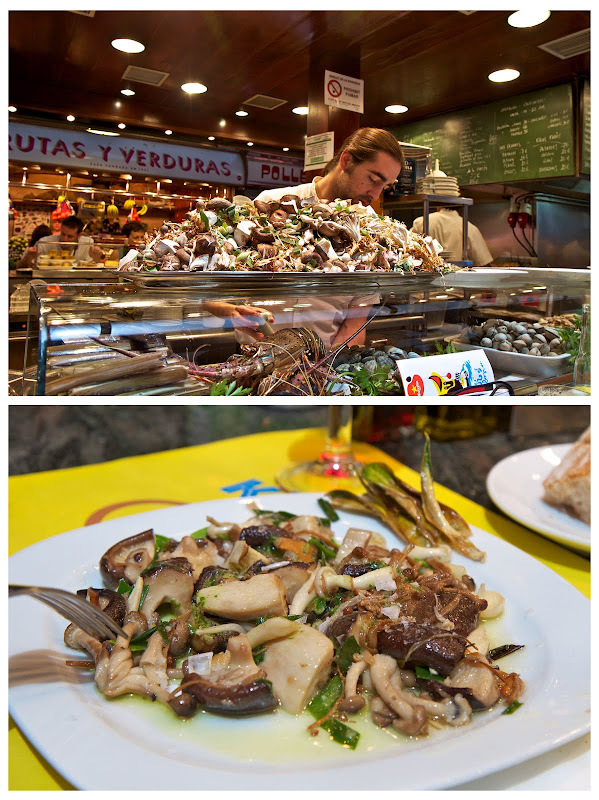 So when in Barcelona, do what the Catalonians do – eat as much as you can, and its completely acceptable to have it for breakfast, lunch and dinner. 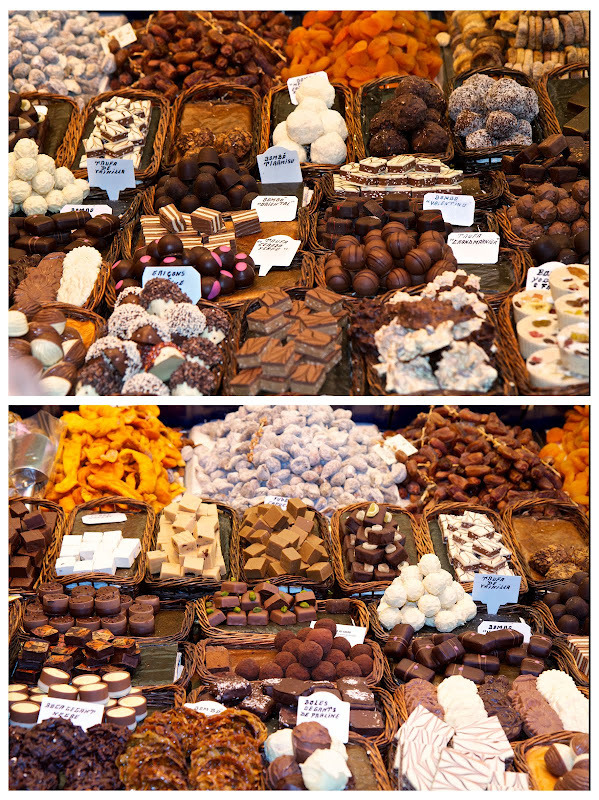 I loved Barcelona when I was there! What a cool place!